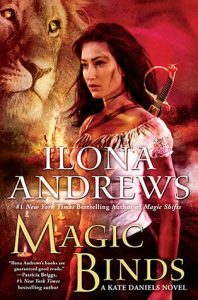 Magic Binds (Kate Daniels #9) by Ilona Andrews is an exciting, action-packed read from start to finish. 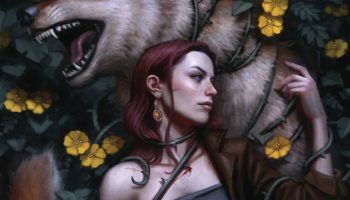 I’ve been a fan of the Kate Daniels series from the very beginning so I was excited to receive a copy of Magic Binds to review. I had somehow managed to forget that a new book was releasing at some point this year. 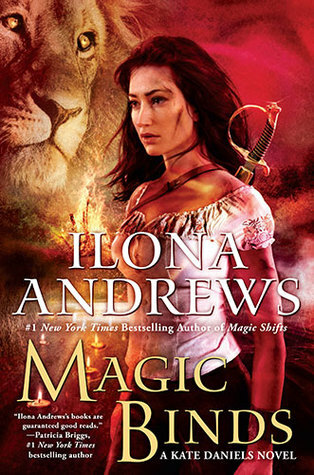 I read this book in a single sitting and I think I would rate it up there with Magic Bites as one of the better books in the series so far. I was a little worried when I started reading that I wouldn’t really enjoy this book, I wasn’t really all that interested in Kate and Curran’s wedding. So I was a bit glad when all hell started to break lose before it even really began. 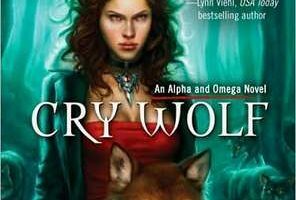 As the 9th book in the series, I didn’t think Ilona Andrews could have many surprises left in store for us, but there were a surprising about of shocking revelations in this book. Kate is definitely hiding something from Curran and their friends and I can’t help but think things are going to end badly for them unless she finally comes clean. 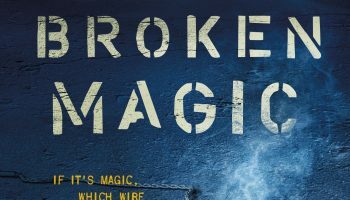 One of the things I enjoyed the most about Magic Binds is the fact that I found it to be so different from the rest of the books in the series, it really broke free of the mold the previous books had created for it. 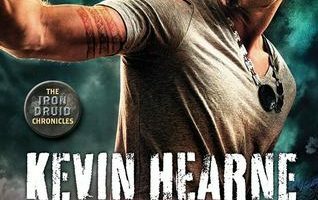 Though I do have one complaint — some of my favorite characters from the previous books didn’t get a lot of time in this book. I think it would have really made the book better if they had featured more in it. I will end this by mentioning that it would probably be best to read this series in order, each book relies pretty heavily on the book before it. I think anyone who tries to start the series with Magic Binds will find themselves a little too confused to actually enjoy it.